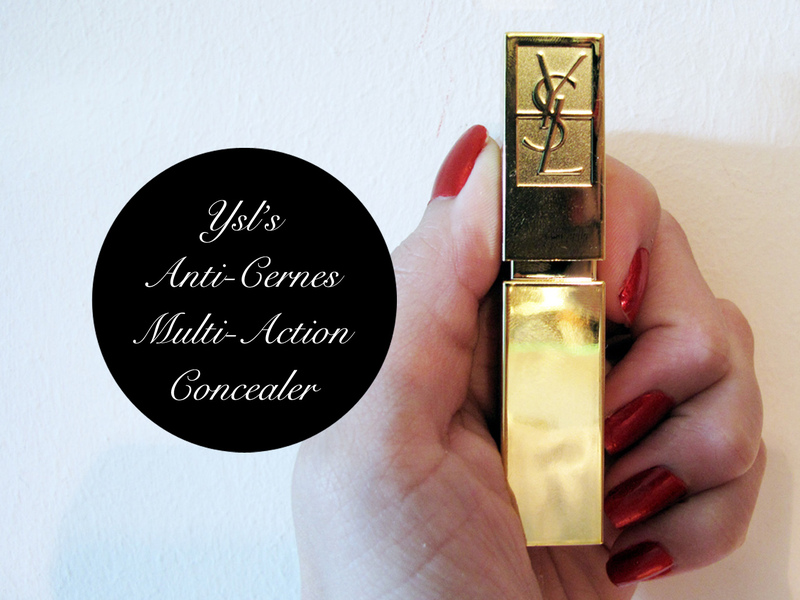 Today I will be doing a review on YSL's Anti-Cernes Multi-Action Concealer. This is a stick concealer, and is not to be confused with YSL's very famous Touche Eclat. I bought this about a week to 2 weeks back, whilst Ash and I were wandering around town and I was feeling extremely woebegone about my dark rings. I honestly sometimes feel if Jia Jia or Kai Kai (the Singapore pandas) died *touch wood*, I can replace them in the zoo.. Anyway, I walked around Sephora and tried a few of their concealers out but nothing really caught my eye. 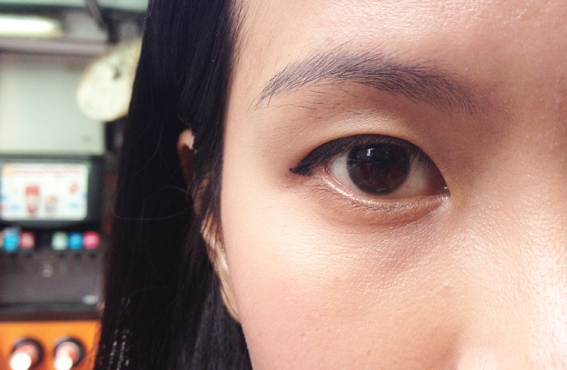 In fact, the 2 which I did try left my eye area looking extremely cakey, and the coverage was not even that great! Then I remembered my dear friend, Charmaine, who recommended me using the Touche Eclat with YSL's stick concealer for the undereye area. She said the effect was AMAZING - and I could do with amazing! So off to YSL's makeup counter I went, and I did not regret it. First off, amazing service from a wonderful makeup artist; followed by the recommendation of a good shade and some skincare advice. (PS. if any of you are heading down anytime, look for Francis Lim.) I went home, I tried the concealer out, and loved it. Well, so here are my dark rings in all their glory. Anyway, I am only going to be doing a swatch of the product on my right eye (in the photo it would be the left) and you will be able to see the difference. 1. First, apply your eye gel/serum/cream. I am currently using John Master's firming eye gel. Not fantastic but enough for now. It is lightweight, soaks in easily and does not leave a heavy greasy residue. Easy to apply make up on top of. At the same time, if your eye skin is rather dry, maybe this would not be for you. I have color 1 in Luminous Radiance, and I think this is probably from the older range. From what I gather now, there are about 10 more shades probably. Shade 1, 1.5, 2, 2.5.. you get the general idea. Ashley bought me this from Hong Kong, and my darling bought the wrong color - still, quite flattered she thinks I am THAT fair. The color is a little too light, but since I use it as a primer it is fine. Smooth and blends easily as you can see; it also covers quite a good amount of darkness. I apply it quite below my eye area and close to my nose because that's where most of the darkness lies. I then use my 4th finger to lightly pat it in. I am currently using shade 3, as recommended by Francis (whom I would like to believe is my new best friend). Now if there's one thing I must say is that - YOU MUST USE EYE CREAM. I do not care how hydrating this is, the blending process requires a little bit of stippling and patting for it to be really smooth, and this might cause a little stress to the skin around your eye. Never rub or tug your concealer in - you must really patiently pat it in. Blending is the most important step. Do not even miss the tiny lines below your lower eyelashes which could collect some concealer inside. The effect is quite wonderful, though I suspect it is because my dark rings cannot be saved in general, and this is about as good as it can get for me. For the sake of this review, I am putting Smashbox's Halo Powder in Fair on top my dark rings. There is better coverage, though essentially it can look cakey. When I really need to cover up, I use this. Otherwise I normally apply Guerlain's Meteorites in Teint Beige 02 for a subtle glow and some light diffusion. How I use is is I simply turn the shaver (the silver area with the little holes) clockwise for this powder to be shaved out. A very small 10 degree turn is actually enough because a lot of powder can come out. Then I swirl my brush around and tap off the excess lightly, then sweep it across my undereye area about 1-2 times. You can also sweep it across your top lid for extra brightness. And this is how I would look like in natural light! Hope this has been helpful to all of you, especially those who are thinking about getting a new undereye concealer! Do leave your questions and comments for us to read, because we appreciate all the feedback we can get! How's the price range like for YSL? it depends really. For eye concealers, touche eclat, lipsticks, and blushers, I think they would be in about a SGD $50-60 range. For foundation, it could be slightly more. 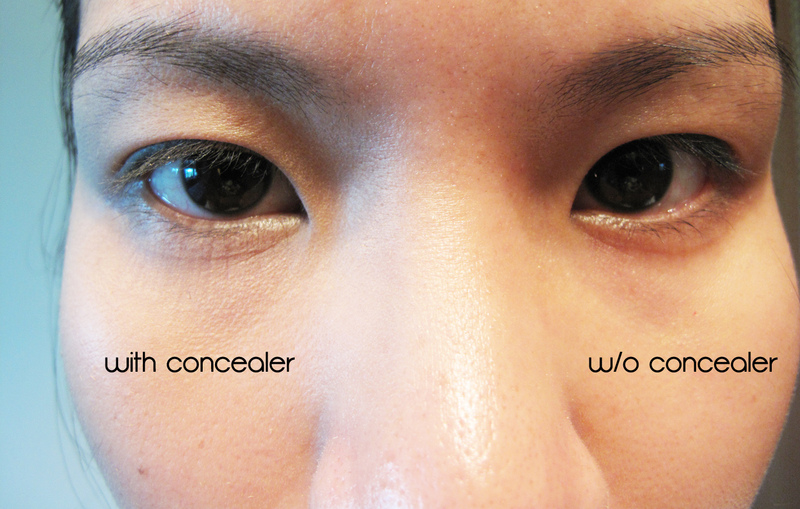 For this particular concealer, I paid SGD$50 exactly. If you're looking at skincare, I think it is much pricier. 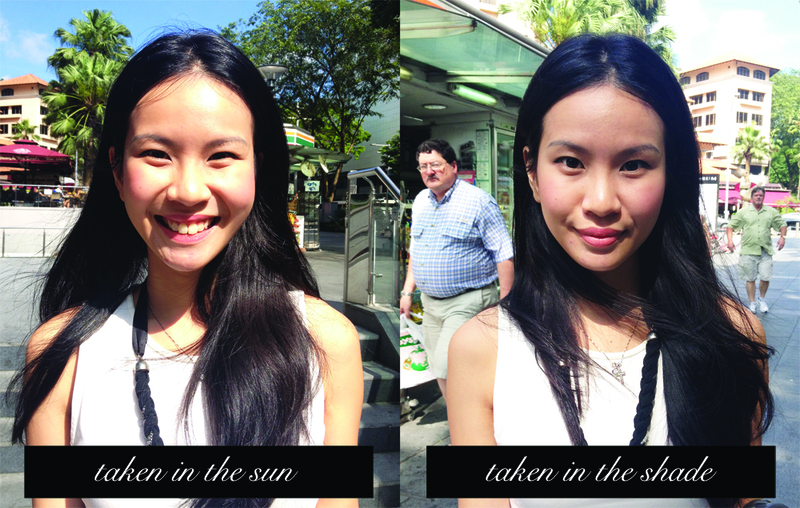 Ashley and I bought an eye cream (which we will be reviewing next week) that cost about SGD $105. I have a question. How many hours does the concealer last on the undereye (for the stick)?